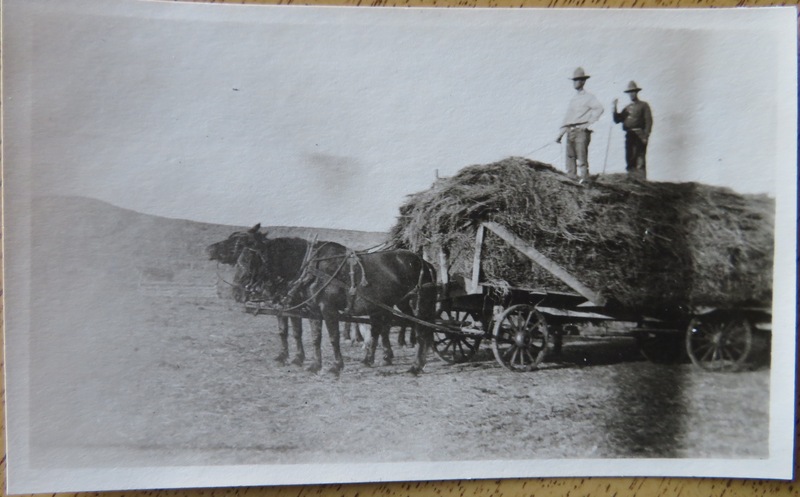 This is quite the load of hay… No date. Wow! I remember watching my grandpa harness up the horses to go to the field for haying and picking corn! Now on that same farm his grandson picks corn from a huge air conditioned tractor and picks 12 rows of corn at a time, shucking it and tossing the kernals into the truck! Quite a load of work, too!